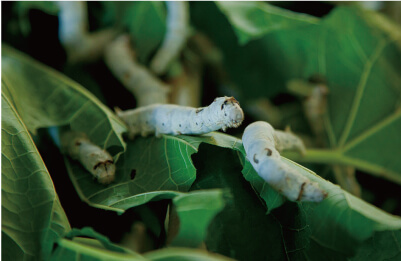 About for 25 days, a silkworm grows by repeating terms to be fed a mulberry and to stay still as if sleeping called “process of molting” for four times. 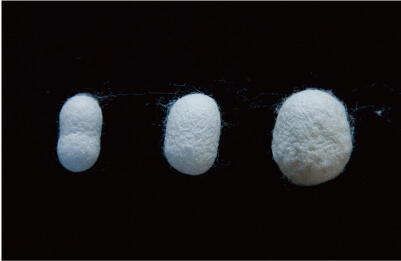 The cocoon spun by a silkworm makes raw silk. 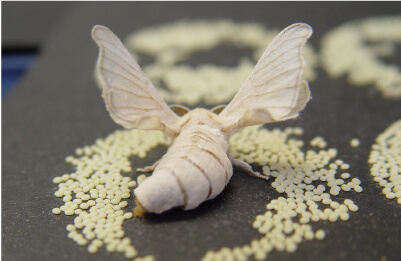 With the technique in Japan, various and high-quality cocoon can be made according to the purpose of use. 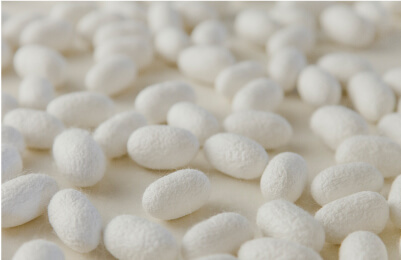 Put cocoons into a boiled water and make them soft and reel yarn threads from the cocoons with twisting. This hand working technique called “Zaguri” (1) is an origin of automated reeling (2) by using the automatic silk reeling machine which is mainly used for reeling at present. 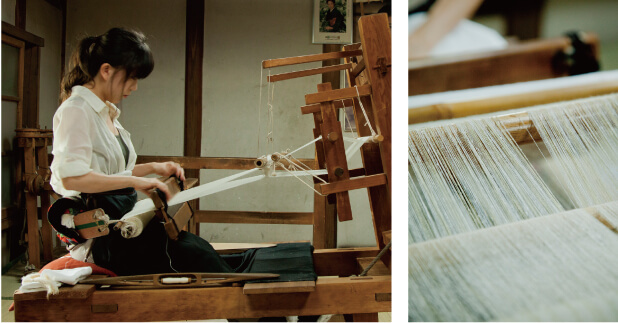 The technique is to spin yarn threads by hand from a loosen cocoon called “floss silk”. 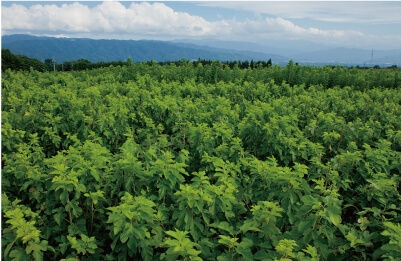 As a raw silk having a delicate texture is needed to make Yuki Tsumugi (pongee), this traditional technique is used for the fabric. The primitive way of weaving that had been handed down from 1500 years ago is the back-strap hand loom (1). They must use their whole body as a weaving machine, in details, to weave with pulling a warp yarn by using a waist. 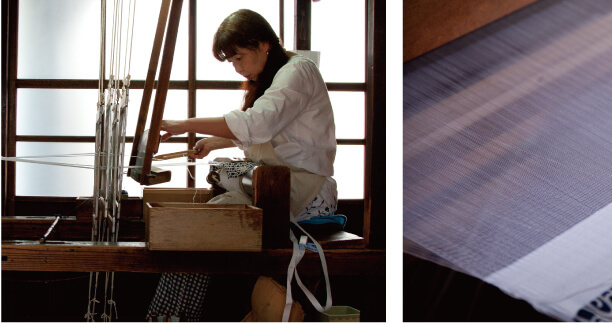 Another is the technique called TAKAHATA hand loom (2), the upper and lower thread of a warp yarn are switched by depressing right and left pedals alternately. These two ways of weaving need high skills and take a long time to complete a bolt of fabric because all weaving process is manual work.